Trails and Vines, founded by Abby Price and Chris Coates, offer tailor made running holidays aimed at runners of all abilities, who wish to experience stunning running trails,and to explore fabulous wines and regional foods with other like-minded runners. Abby and Chris will design a running program specifically for you, combining both coached sessions and more relaxed, fun runs depending on your goals and how much running you chose to do. The aim will be to ensure you leave having felt challenged but also having enjoyed your holiday. Each Trails and Vines holiday includes luxury accommodation with home cooked, regional based meals, excursions to enhance your experience of the region and numerous visits to the best wineries. UK: Please see individual running retreats for information on accommodation. Your Trails and Vines holiday will include breakfast, lunch and dinner (with the exception of two trips out) plus table wine with dinner for the whole week, a wine tasting led by Abby and Chris, and two visits to amazing local wineries. Abby and Chris continually search for the best running trails and wineries for you to experience. They constantly self-improve their knowledge of all things running as well as wines. Abby wearily completed a 5k fun run in 2014. Since then, Abby has planned her journey to successfully completing marathons and she would like to share her experiences with you. Abby’s love of wine came from her family who help her expand her taste and knowledge of all things wine. Chris spent several years in the British Army where he developed his running stamina. Having left the military, Chris rediscovered his love for the sport when he was searching for a way to balance his stressful working life. Since 2014, Chris has completed many marathons, ultra-marathons, and an IronMan. He is an England Athletics certified run leader and soon to be a UK Athletics running coach. Having both developed a love of wines, they decided to leave their corporate jobs behind and worked for the excellent Chilean Vineyard, Vina Casa Marin. Abby proved a great success explaining their wines and how they pair with different foods. 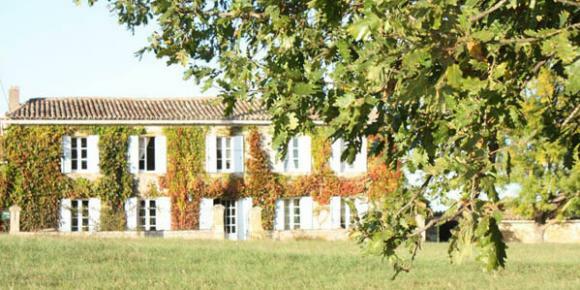 Incredible vineyard, wine tour and overnight stay! We had a great time in Casa Marin. Abby was incredibly helpful and accommodating. She gave us a fantastic tour with wine tasting … Our highlight was the 3 course meal with wine pairing. Thank you so much for such a memorable experience! Abby and Chris are WSET Level 3 qualified making them experts in their ability to describe wines, account in detail the style, quality and price of wines. Can't see anything for you in the existing holiday dates? Trails and Vines also offers the ability to custom build running holidays for groups of 8 or more. For more information contact them here. Comments: I have recently taken up running again after several (non-running) years! Abby has been excellent in providing 1:1 support and tuition. I even managed my first park run without stopping last month.Most importantly I am actually enjoying running!!! I am impressed by Abby and Chris` commitment and vision with Trails and Vines-a great opportunity to get involved with this fun, committed couple and enjoy the balance of running in wonderful environments (What can be better-the beautiful Vineyards of Bordeaux and Rioja) and enjoying a glass or two of excellent wine afterwards! Well done guys, I am heading your way soon....!!! Comments: Had a fabulous week running through the vineyards of Rioja, building both my running stamina and appreciation of wine.Wasn't sure (before I went) how well running and drinking would mix but the answer is surprisingly well, due I have no doubt to the great balance to the week that was delivered by the program Chris and Abby had devised.They were really amazing hosts, nothing was too much trouble, and every run and excursion was carefully thought through and researched so that the week was continuously surprising and interesting. Most surprising of all was that I managed to run over 50 miles (which was a big step up from my normal 10 or so) without once feeling tired or being worried about injury. I can only put this down to the careful planning and excellent variety of runs, stretches, and recovery exercises that were on offer.The wine tasting and excursions to wineries and local towns were also spot on. Delicious wines and breathtaking scenery felt like a justifiable reward after each morning's exertion.Finally, we all turned up on day one as a diverse bunch with mixed running histories and abilities, different interests, and very different lifestyles. Part of the pleasure of the week was to see a team spirit develop and by the final long run, we were very much just that, a team of chilled out runners wishing the holiday didn't have to come to an end.I'd recommend this holiday to anybody, it works even if you only want to run, or only want to drink, but the combination is really something special. Comments: A uniquely excellent holiday combination led by two wonderful people. Spending a week in La Rioja with Chris and Abby was unforgettable! The running was personalised so that each of us had clear guidance on our paces for running easy and hard. The coaching struck the perfect balance of encouraging, stretching and informative. I was worried I wouldn’t be able to do runs every day before the holiday but the programme was so well thought through that I didn’t question myself at all once we were there. The routes were varied and took us through stunning scenery, often through vineyards and orchards. The wine felt well-deserved after the hard work. Abby and Chris introduced us to tasting wine and provided delicious wines which we enjoyed in the spacious and exquisitely located accommodation. Winery visits were also great fun and showed contrasting styles of winemaking. I learned loads about Rioja and when I drink it I’ll now think back happily to this holiday. Abby’s cooking is not to be glossed over. What a treat! Nutritious, generous, tasty and used local produce. We ate like Kings. Lastly but not leastly, Abby and Chris are great fun to spend a week with and have managed to make Trails and Vines holidays the perfect balance of chilling with wine and earning it, all done with seemingly effortless execution. I’ll be back! Comments: Beautiful runs, great wine, brilliant food...and even better people!Our trip to Rioja with Trails and Vines was simply one of the best holidays we’ve been on.Rioja has some fantastic scenery to admire whilst running and plenty of lovely wine to sample but it just wouldn’t have been the same without Abby and Chris’s intimate knowledge of the area and of the wine. They really did think of everything so we didn’t have to.Every run was perfectly planned so all we had to think about was running and enjoying the stunning views. Every meal was prepared from scratch and simply delicious. Every trip allowed us to see something of the area and of course, every wine felt so well-earned after a run!Whether you’re a serious runner or a parkrun jogger, a wine buff or a novice (and in our group we had a mix of everything) Abby and Chris’s real strength is in tailoring every run and every event to suit you.I can’t recommend these guys highly enough and we’ll certainly be back! Comments: I had a fantastic week in Rioja with the Trails and Vines team - learning a great deal about running (my main reason for the trip) and also had a fascinating insight into the wine from the region, and further afield.The runs were planned to help you explore the area, whilst building up distance and technique - from hills and fartlek sessions to long runs and recovery runs. Chris and Abby imparted a lot of useful knowledge across the week, which has helped me to focus on my aims and challenges going forwards. The mix of individuals was great and at no point did you feel like you were holding anyone back, or pushing ahead - all the sessions were planned so you could run and improve at your own pace.As a newbie to the wine world, it was fun to dive straight in - learning lots from the tasting introduction, through the vineyard tours and dinner tastings. Running through the local vineyards and villages which produce these wines was amazing, and you really get to understand the culture and process behind what ends up in the bottle.Chris and Abby were top hosts, providing amazing food, drink and entertainment across the week - and catering for all needs, going beyond what you would expect to make you feel at home. I am looking forward to another holiday in the near future! Comments: I joined the Trails & Vines ''New Year'' Norfolk retreat and I cannot think of a better way to start the year. The weekend was perfectly planned, balancing a variety of running sessions with relaxing social time over amazing food and wine.The weekend catered for a wide variety of running abilities, with all sessions tailored to you. I was particularly impressed how all activities were completed together as a group, facilitating a pleasurable social experience as everyone shared their own running stories and top tips. All sessions were balanced perfectly with an equal amount of relaxing options:- Intro run to Blicking Hall paired with a visit to a 'cosy' local pub- Speed session paired with jacuzzi (and maybe some wine)- Long distance run paired with a relaxing yoga sessionThe opportunity to evaluate your running technique video 1 to 1 with a trained running coach was certainly welcomed by all. If that was not enough… the handmade food and wine paired with amazing people made for an incredible weekend. Abby & Chris are certainly the perfect hosts!After losing my passion for running over the past 6 years, Trails & Vines have certainly revitalized it and I could not be happier. I am certainly looking forward to joining the next Trails & Vines retreat and would encourage others to do the same! Comments: I had an amazing time at the Trails and Vines new year retreat in Norfolk! I had previously been nervous about group running but Chris and Abby planned and managed everyone's sessions so well that everyone was challenged and no one got left behind. In just 4 days my running technique and confidence improved so much and I am even looking to join a running group! The challenging running sessions were combined with plenty of time for relaxation and refueling with wonderful home cooked food and wine. We had a bespoke yoga session after our long runs and also made good use of the fabulous hot tub and pool at the house. What a perfect start to 2019 - thanks Chris and Abby! Comments: Simply one of the very best holidays I've been on. It was an absolute blast, and I'll definitely be back for future holidays. The balance of running, wine, local culture, relaxing, and getting to know fun and interesting people was perfect. It sounds like a lot, but the entire week was easy going and so much fun! Now a few weeks on, and I'm enjoying both my wine and my running more than ever. I've never had a holiday with a legacy before! Not only all of that, but rarely do you have the chance on holiday to explore a local region in such a 'real' way. Running from village to town, through the actual vines that you'll be drinking wine from later... you can't beat that. Thank you, and well done to Chris and Abby for putting together such an excellent week. I'll definitely be back for future holidays, and I hope that I love other wine regions as much as I grew to love Rioja! Comments: I had such an amazing week with Abby & Chris! 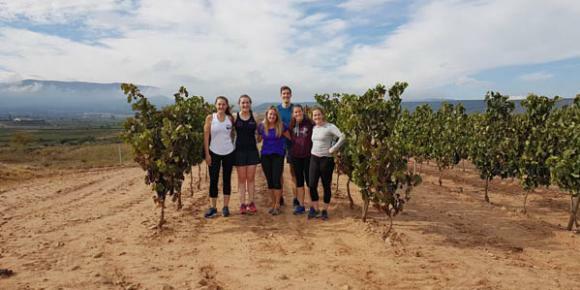 Beautiful running routes through the vineyards, private winery tour and amazing food plus some great company made for a perfect holiday in Rioja! Highly recommend to anyone who wants that balance of activity and culture with someone else to do all the thinking and planning for you! I can’t wait to come again next year! Comments: Trails & Vines trip to Rioja is one of the best holiday's I have been on. From the running, to the vineyards, to the evenings out, everything was perfectly pitched to let you relax and unwind while improving your running. I was pretty nervous about the running schedule given my lax training plan, and inexperience but it was clear from the start that the trip was geared up to all levels. I wanted to use the coaching to improve my running form, speed and get in to good habits. The running activities we did were different every day which kept it interesting and the routes the guys chose were really beautiful, often through the vineyards or around lakes. The coaching and tips that Chris provided in training helped me to improve my form, as well as providing me with training techniques so I could continue once I got home. I also loved the stretching sessions and tips and I'm keeping up with these now I'm back. All the activity was super sociable and planned so that even though some people were faster, you always meet up somewhere along the way. I never felt left out. The villa was gorgeous, with loads of space to chill, amazing views of the mountains to watch the sun rise and set, we even saw eagles and deer from the roof. Abby was an amazing cook, providing a great variety of locally sourced food to set you up for a running session every day. Wealso got the chance to experience local nightlife on the Pinchos crawl! This has got to be a highlight letting you soak up local culture at super reasonable prices (Think bottle of great wine for London glass prices) while putting your new found wine tasting in to practice :). The vineyards that Abby & Chris selected were incredible. The tours were really interesting and came with plenty of tasting opportunities, which I felt really prepped for thanks to the intro session on day 1. Cannot recommend the Trails and Vines experience enough. Everyone should do it! Comments: Had a lovely week’s holiday in Rioja with Trails and Vines. Plenty of relaxing, with and without wine, plus enough running to feel you deserved it! Abby and Chris have everything sorted, with a great balance of activity vs chill time. There is a friendly “make yourself at home” atmosphere. The mobilising and strengthening exercises were really useful, the scenery we ran through was stunning and the speed and hill sessions motivating but not too exhausting. I finished the week running a half marathon that I certainly hadn’t been planning, no ill effects, and the ankle niggle I arrived with just disappeared after a few days. Food was plentiful and well cooked even satisfying my veggie husband who is somewhat particular about the quality of his food, and they had ensured all trips out also knew to cater for him. Abby’s homemade granola is not to be missed and her cakes and brownies were moist and delicious! Wine every day, what’s not to like? And plenty of knowledge to share. If you are worried about being the slowest or not a good enough runner, I suggest getting in touch and letting them reassure you, our group all had a great time. Comments: I had the absolute pleasure of going on the inaugural Trails and Vines holiday a couple of weeks ago. I am now going to try and do justice to what was an exceptional trip. Why did I go? Like any sane person, I love wine. Second to that, I’m also quite fond of a run to clear the head, avoid the monotonous commute or generally keep (year-round ‘Christmas’) weight off. My running ‘career’ (generous word) has taken me round a marathon and a few halves, but of late I had begun to dislike running, and after my last 20km race, I decided that I was done with any formal events, and park run would be the most competition I would seek out. Until Chris and Abby got involved… This power house of a couple had thought out every minute of our trip – I don’t mean to say that we were running around constantly and didn’t have a moment to breathe. There was ample free time to use as you pleased – be that reading from their extensive collection of running books, having a siesta or picking their brains about a particularly troublesome muscle. I don’t want to give too much detail, but the weeks’ running programme was varied, it was accessible for a range of abilities, and it really opened my eyes to how creative a running plan could be. The schedule they put together included some form of run or exercise each day, plus wine made an appearance in the form of two vineyard visits, a glass or two over dinner, and as part of the pinchos crawl… As for the food, well… Abby is a wonderful cook (I should give Chris credit for his chilli!). Meals were delicious and generous… I won’t say any more than that - you’ll have to see for yourself ;) In summary, I had no intention of running another half when I went on this trip. I finished the week booking on to an ultra-marathon next September (and the Bordeaux trip next year!) If that doesn’t sell it, I don’t know what would. Comments: During the past week, I've done some of the most enjoyable running of my life, while also learning about the wines of the Rioja region of Spain. Abby and Chris have worked extremely hard, so that we didn't have to. They have provided an all-in experience that combines a stuctured set of runs in wonderful countryside with relaxing winery visits, as well as being well fed and looked after. Recommended for anyone who wants to improve their running and knowledge of wine, in a friendly and relaxed environment.